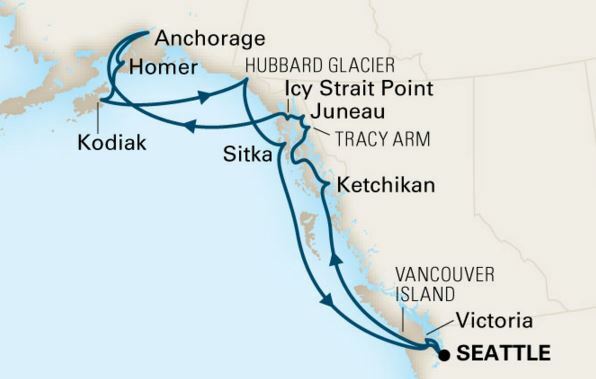 See Alaska like you've never seen it before: two full weeks aboard the ms Zaandam, sailing from Seattle to Anchorage and back, visiting seven Alaskan ports, two glaciers, and beautiful Victoria, BC. Other dates are available, May through September, in 2018 and 2019! ​​Taxes and fees are an additional $386, and may vary prior to booking. Single supplements are available, as are fares for 3rd and 4th guest sharing a stateroom.